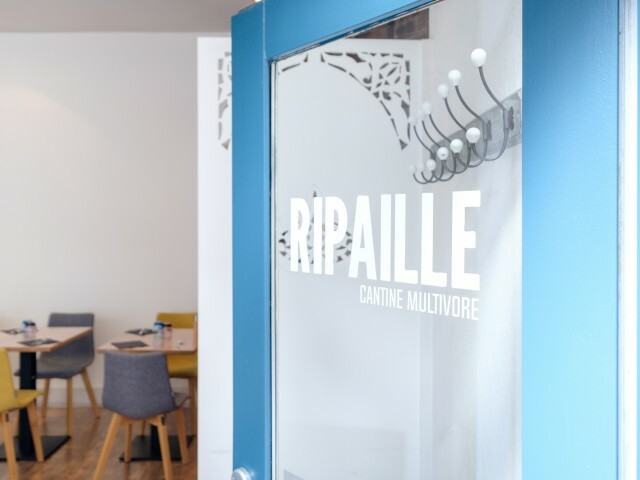 In the heart of the city, at the entrance of Vieux-Lille, Sandrine and Willy welcome you to Ripaille, a convivial canteen, place of life, meetings and sharing. We propose you a gourmet and evolutive kitchen prepared on the spot, based on fresh and seasonal products. You will always find a vegetarian option à la carte. In the event of food allergies, do not hesitate to let us know when you make your reservation so that we can adapt our proposal to the best of our ability. Wishing to highlight the work of artisans, producers and breeders of the region, we give priority to short circuits to guarantee the quality and traceability of our products. You will find here the good bread of Alex Croquet, the cheeses of Philippe Olivier, the beers of regional brewers (Cambier, L'Atelier des Brasseurs, La Brasserie du Pavé ..). A dish of the day is offered daily during the week and our card will be renewed regularly, throughout the seasons.